Martin is a AAA PGA member. After ten years playing amateur golf, having represented Victoria five times and competing in high level amateur tournaments throughout Europe, the USA and Australia, Martin spent three years getting his professional qualification via a PGA traineeship. During his traineeship he was awarded Victorian Trainee of the Year and Australian Golf Digest Trainee of the Year. In the years to follow he worked in various roles in the golf community including coaching the Victorian Colts team, co-ordinating the Holden Young Lions coaching program and working closely with the South West Academy of Sport while holding down a full time role as the Director of Golf at Spring Valley Golf Course. From 2008 – 2018 Martin successfully advanced the VIS program to world class standards using advances in coaching, technology, education and an overall approach to professional sport and the lifestyle associated with it. 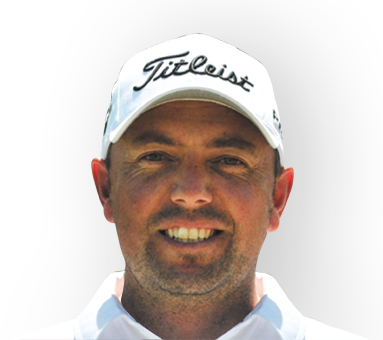 With increasing interest an involvement in player development Martin also took on the role of High Performance Director for Victoria and became Golf Australia National Coach. He moved the VIS Golf training facility to Spring Valley, where in co-operation with Titleist, a teaching centre was built on the driving range. This has become the base for most of Martin’s coaching work. Martin currently uses the most accurate coaching systems including SAM Puttlab, Trackman and Bull 3D Motion Capture, these services are available to his clients, students and several professionals he coaches on tours throughout the world. Completed PGA Traineeship to obtain Full Membership.